Myoglobin—the first protein for which a 3D structure was determined by x-ray crystallography—still has some tricks up its sleeve, or in its pocket. This is the pocket into which myoglobin’s oxygen-carrying heme group is tucked. 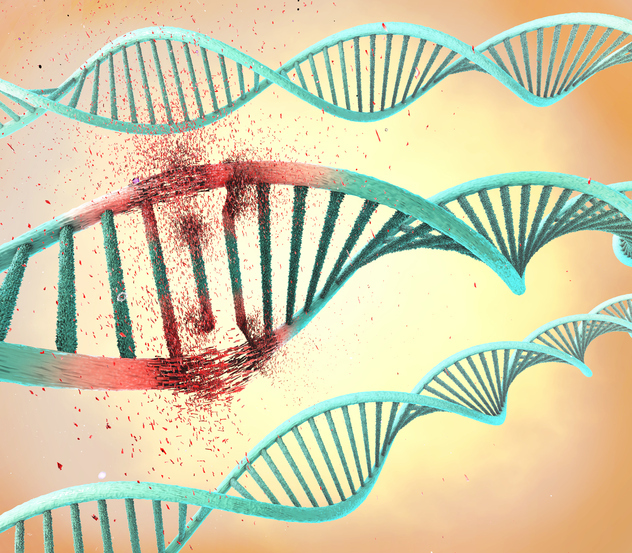 According to a new study by an international team of researchers, myoglobin may be encoded by a gene that carries a deleterious mutation. If this mutation is present, the shape of the heme pocket is subtly altered, modifying the heme’s biochemical function. Specifically, the mutation alters the kinetics and thermodynamics of oxygen binding and may result in elevated superoxide levels. The mutation’s clinical consequences include the adult onset of proximal and axial weakness that progresses to involve distal muscles and causes respiratory and cardiac failure. In fact, the mutation is proposed to account for a new disease—myoglobinopathy. This suggestion was offered by researchers representing the University of Western Australia, the Karolinska Institute, and the Bellvitge Biomedical Research Institute (IDIBELL). The researchers presented their findings in an article (“Myoglobinopathy is an adult-onset autosomal dominant myopathy with characteristic sarcoplasmic inclusions”) that appeared March 27 in the journal Nature Communications. These data, the article concluded, define a recognizable muscle disease associated with myoglobin mutation. Olivé is a co-corresponding author of the current study, as is the study’s leader, Nigel Laing, PhD, a professor at the University of Western Australia. The study also involved, among others, researchers from the ALBA synchrotron and the Autonomous University of Barcelona. The infrared microscopy of the MIRAS beamline at the synchrotron, which is able to characterize the chemical composition and structure of proteins, allowed researchers to demonstrate the presence of oxidized lipids in the damaged muscle cells. “We have observed that sarcoplasmic bodies correspond to oxidized lipids and misfolded proteins,” noted Nuria Benseny, PhD, a researcher at the ALBA synchrotron. Myoglobin, the protein that gives muscles their red color, has as its main function the transportation and intracellular storage of oxygen, acting as an oxygen reservoir when there are low levels (hypoxia) or a total lack thereof (anoxia). It also acts as a scavenger of free radicals and other reactive oxygen species, avoiding cell damage due to oxidative stress. By discovering a myoglobin mutation that accounts for a previously unrecognized disease, the scientists responsible for the current study have made it possible to diagnose myoglobinopathy patients properly. Also, researchers will be able to focus on finding a cure for this disease.